One year on, what have we learned? At Triggertrap we’ve been using Slack since the beta release and we believe it’s unlocked huge potential for our team. Along the way we’ve learned a few things to help us get the most out of an awesome tool. We think of Slack channels as the lovechild of satellite television and the local librarian. With a few exceptions, channels should be topical, generally focused, and in abundance. This keeps them searchable and as easy to find information as a book in the library. By using more channels, you’re less likely to post everything in #general, and you can choose when and what you want to be a part of. For example, user story #314 in HuBoard needs collaboration from the support, design and development teams today. Perfect! Create the channel #iss314 and discuss all aspects of the issue in one place > When you’re done, just archive it away to find at a later date. Archiving is a great feature of Slack, and something we didn’t make enough use of when we started to use the product. It gives us the ability to keep things focused and easily find things when we need them. But, to get the most out of archiving we need to be using channels to our advantage. I’m much more likely to read the messages if they’re in our topical channel #iss314, than if they’re in #random. I also benefit from being able to quickly get up to speed with my colleagues after a holiday if I can quickly mark as read the messages I know are less important — freeing up time for the things that need my focus. Also, consider working preferences and hours. We create a lot of ‘break-out’ channels, a useful way to share ideas and catch up after the weekend. But not everybody shares the same interests, is in the same room (or even time zone) when a /giphy war breaks out. You may be having a quick break in your office, but your colleague might be trying to demo your product and an @name notification with “/giphy fail” may not be appropriate. So in summary, use channels loosely; allow your team to choose the ones they join and create new ones when they want. Don’t be offended when someone leaves, they’ll come back when they want. Oh, and remember to archive to keep it all tidy. On the course of our journey with Slack we’ve used direct messages less and less. We’re a small and growing team and we’re pretty open with what we chat about. We’re also separated by roughly the distance of eight Neutron Stars lined end-to-end, so communication is key. And, when you think about it, it’s logical to share conversations in channels for many reasons. Channels can be archived easily, whereas direct messages are living documents that change content and topic often; making it hard to find information when you need it. Direct messages also make it harder for you to learn collaboratively. For example, our iOS development team currently includes two developers, and obviously we have articles and code snippets we want to share which we know is of little interest or relevance to the rest of our team. A direct message between the two of us seems logical, right? That’s what we thought, but we soon realised we were wrong. What happens when we get a third developer, or what happens to all our chats about the latest tech products, smartphones, and wearables? It all gets lost. Not all the developer conversations are useful to the rest of our team, but some parts are, and they’re definitely a good starting point for a new developer who joins our team. So, to rectify this we simply move things to channels. In our case we created a channel for each coding language, an apps review channel, a channel for discussing the latest tech, research channels, and a snippets channel. This approach keeps things topical and easily searchable. Any new developer can get up to speed with resources in the coding channels and it turns out more than just the developers are interested in tech, so we get more lively and interesting chats in those other channels. We use the private groups of Slack as a stepping stone between direct messages and channels. They have the benefit of being expandable, i.e. a member can invite others to the group, but they still remain private. In our situation we’ve found this useful when dealing with confidential information — when discussing potential candidate CV’s, for example — but we still resort to channels for the majority of our conversations. We’re still on a journey with Slack, and it’s important to remember that things change. Slack has hugely changed how we communicate, and I’m sure we will continue to tweak our workflow to get the most out of the tools we use. Please help us to develop, and share your experience and tips for using Slack. 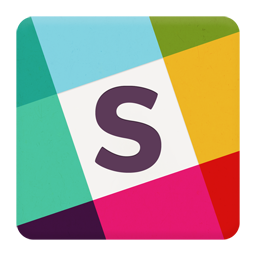 Here’s a great post listing some of the more Useful Tips for Getting the Most out of Slack.